Do you have a sweet tooth for wild filter effects and crazy modulation? Chomp down on SugarBytes’ latest iOS effects app, WOW Filterbox. After SugarBytes brought us the clinically insane Turnado multi FX app, I wasn’t sure what to expect from them next. WOW arrived a couple of months ago, and turned my filtering effects cravings upside down. This app is drenched in all kinds of twisted awesomeness. What is WOW? The question might be better put, what isn’t WOW? 21 filter types, 7 distortions (3 beautiful analog-emulated distortions), and vast modulation parameters all packed neatly into a slick user interface for full real time control. This highly adjustable, programmable filter FX app is bursting with modulation options. 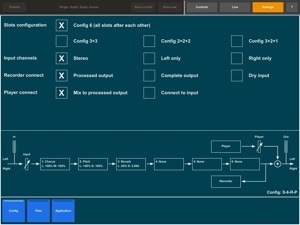 3 independently programmable and controllable X/Y units allow 6 parameters to be run simultaneously, all manipulated by touch to alter the sound in real time. Take your samples and in WOW you can make them sound schizophrenic to sublime. A new dimension of sound FX options that go beyond just simple effects and sounds such as: trance-style gated sequences, broad sweeps, beats, alien attacks, Oompa Loompas screaming in agony, talking 80s mannequins, worrisome wobbles, or whatever you can think of. Fun? Oh yeah! Useful? Hell yes! Point is, whatever sample you start with can be so drastically modulated and filtered that it sounds like something entirely different. It isn’t a requirement, but it is what WOW does best. With so many parameters to mess with, the filter world is at your disposal. No other app around today has this much filter and modulation power. It all sounds great too. The app has clearly been well engineered to produce excellent audio quality. SugarBytes says the distortions have been carefully crafted to produce the best harmonics with “anti aliasing” for “high definition audio”. It can get demanding on early generation devices, but on iPads 3&4 it has behaved well for me. Ultra low latency of 64, up to a more stable 512. 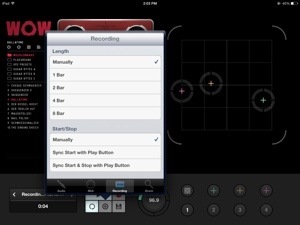 WOW is Audiobus compatible, can also record in the app, and save in the internal files manager. 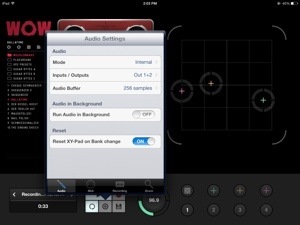 AudioCopy/Paste, full MIDI support, Jack, iTunes FileShare, BackGround Audio, and more round out a deep features list. 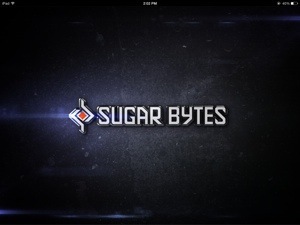 For more details check out SugarBytes website. WOW is also available as a plugin (via IAP) in Auria. If you already bought the WOW stand-alone app, you do not have to pay again to use it in Auria. Nice. The more I explore this app, the more I love it. 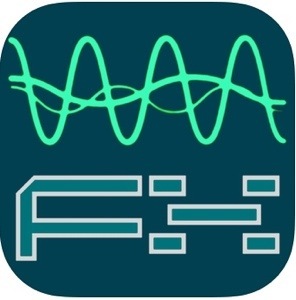 There are plenty of factory presets to choose from, and the depth of complexity that comes with customizing your own sound is what makes this app a true marvel to behold. I’ve found the interface to be very smooth and well made. There are times when, selecting an option from one of the drop downs, the text descriptions are tiny and I have accidentally selected the wrong thing. 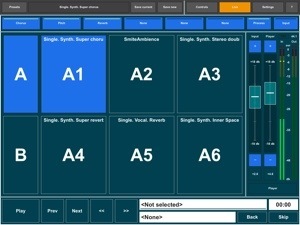 That might be a concern for exploring the app during a live performance; however with the option to create your own user presets, those problems can be avoided. 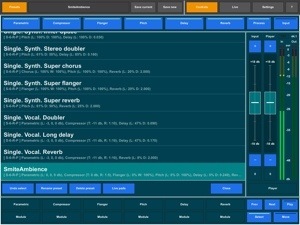 I’ve not encountered any significant issues, and recommend WOW Filterbox to anybody looking for a deep and interesting (not to mention fun) way to create great modulated, filtering effects at any level. This whole year of 2013 has been a roller coaster for me. It started off with what I thought would be a great start. Nothing went quite as planned, and everything was chaotic for me. Finally I can breathe a little bit at least on the topic of where my music is concerned. I had been operating on casual, or well intended plans that I truly believed in. Unfortunately much of what I was hoping for just never really happened as I had hoped. It’s nobody’s fault. Sometimes things that begin feeling right, just don’t progress as expected. One thing that I’ve needed to take care of was securing a binding contract with a label. Intentions are all well and good, but without really knowing precisely where one stands, it’s very easy to worry. I worried a little bit. I had contacted and been approached by a few small music labels early on, and I had intended to sign with one, but communication and clarity was an obstacle, and I never received any documents. That made me sad, but I can take a hint. No hard feelings, and I wish them all the very best. I at least met lots of talented people and made new friends. That’s always a good thing. Apptronica was the most recent to contact me, and being that it was a friend of mine who I knew without a doubt understood me, I was eager to learn more. Clifton Johnston set himself apart with a professional business plan, rapid communication, clear goals and expectations. 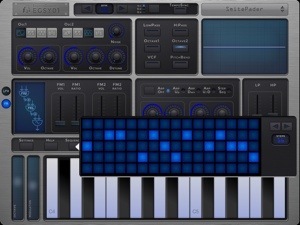 Not to mention a vision that I passionately share about how iOS music can be. At the risk of unintentionally sounding conceited, he showed great care for me and my work with attentive and sincere gestures I found extremely helpful, and highly motivating. It made me feel very comfortable in that he will take good care of his artists to the best of his ability. That’s important to me, and I think something any artist would appreciate when considering a label. No matter how big or small. Apptronica “gets it”! Or I get Apptronica, either way I have always been loud about how I feel regarding iOS music production being done in its purest form. By that I mean, all music being made using only iOS. Not just as a tool, or a part of the process, but as “the process” from cradle to grave. No minimizing it, and always maximizing it. Getting the word out further and beyond just our amazing community, showing more people it can and is being done, and done very well. At least as good as anything else. These are things very important to me. So I thought long and hard, and reached out by email to people who I thought might be affected by any decision I might make. No replies, or grumblings came back, so with a clear conscience and having my best interest in mind, I have literally signed with Apptronica. I hope you will welcome Apptronica warmly. My 2nd album “Chapters”, now with a confirmed home is sadly, again, delayed. This is the last delay. With all the missing pieces falling into place, it will be released early this coming winter after the holidays, around January 2014. Just a couple months. iOS Music Community founder Clif Johnston announces the rebranding of the popular social network as Apptronica and expands services to include a new record label featuring the world’s top mobile music producers. 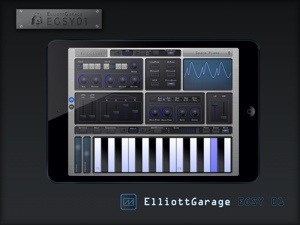 Apptronica also plans to release a digital magazine for iPad and iPhone musicians later this month. NASHVILLE, TN – Apptronica president Clif Johnston worked with ambient music producer SmiteMatter to reissue the artist’s album Technopolis Lost as the netlabel’s first album launch. 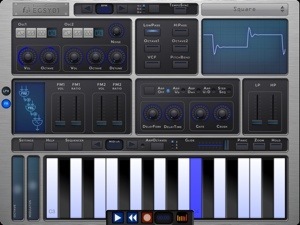 Originally released in 2011, Technopolis Lost is widely recognized as the breakthrough album for the genre, being composed and produced from start to finish using only an iPod touch and a first generation iPad. The reissued version of Technopolis Lost features new artwork along with a previously unreleased bonus track, Time On A Leash. The album is available now from the Apptronica website as a free / “name your price” download. Other artists signed to the Apptronica label include Swedish bass music producer Jesper Jones and Australia-based iPad-only producer PantsofDeath. The netlabel will also release music by Mood481, the artist name used by Apptronica president Clif Johnston, who is arguably the most prolific iOS music producer on the planet with over 17 pure iOS releases. 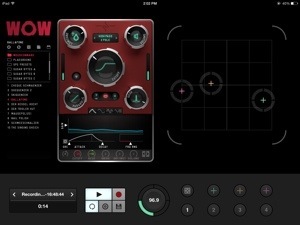 Scheduled for launch later this month, Apptronica magazine will feature articles, app reviews and tutorials by some of the top experts in iOS music production today. Advisors and contributors include Chip Boaz, creator of the iOS Music and You blog and podcast; video tutorial producer Ryan Hemeon of iOS Mars; synth expert Fletcher Kaufman of Sunsine Audio; German iOS musician Martin Neuhold; writer and video producer John Walden from Music App Blog; and prominent iOS music blogger Tim Webb of Discchord.com. For more information, please visit the Apptronica website at http://apptronica.us. 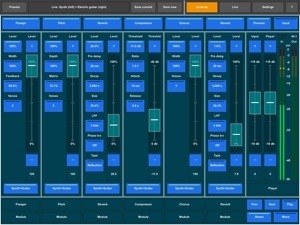 Apptronica strives to strengthen and increase awareness of the emerging “iOS music” scene by providing increased exposure and opportunities for independent musicians and freelance content providers, with a focus on electronic music created using mobile devices and applications.